Charles Santore's birthday came at the perfect time for my soon-to-be-five-year-old daughter. During the past few weeks she has become a huge fan of illustrated "classics". Her love for stories like Beauty and Beast and Aladdin has been nourished by her mom who reads her a few pages each night before she falls asleep. This week when I asked my daughter if I could read her a story from a new book, Treasury of Children's Classics, illustrated by Charles Santore, she asked, "Are these classics?" I said, "Yes! You can choose from Aesop's Fables, Snow White, or The Wizard of Oz. She chose Snow White and our birthday celebration for Charles Santore was underway. 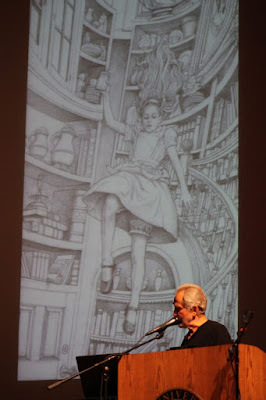 Charles Santore is the illustrator of many classic stories including The Little Mermaid, The Velveteen Rabbit, and The Night Before Christmas. 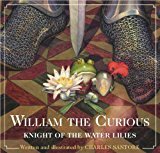 He has also written a few books of his own including William the Curious: Knight of the Water Lilies and Three Hungry Pigs and the Wolf Who Came to Dinner. Santore's career didn't start as a creator of children's books although he always thought it sounded like something he wanted to do. First, he attended art school at Philadelphia Museum School of Industrial Art and then spent over twenty-five years in advertising and magazine illustration. In 1984, he got his chance to create a children's book, but his instincts told him maybe this wasn't the right project. Beatrix Potter's stories had recently entered the public domain and a local Philadelphia book publisher asked Santore if he would like to illustrate a book about Peter Rabbit. In his keynote at the Mazza Museum, he said that he initially didn't think it was a good idea. He thought, "You shouldn't touch Beatrix Potter." He also cringed at the thought of spending a year on a project when he was used to the shorter time lines of advertising illustration. 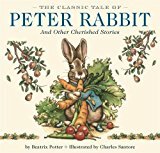 However, he took a chance, found success with The Classic Tale of Peter Rabbit and Other Cherished Stories, and described the opportunity to make this book as a "life-changing" event. 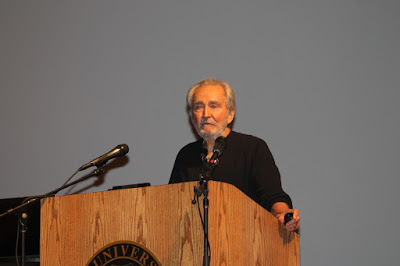 (Mazza Museum Keynote and At the Shore Online). Get a glimpse into Santore's studio and a peek at his amazing artwork in the short video below. In an interview with At the Shore Online Charles Santore said, "I like to challenge myself with books that have been illustrated throughout the years and see if I can do something different with them." This was the case when he was approached to illustrate The Wizard of Oz. 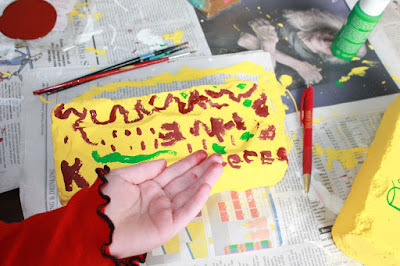 It was a project he initially wasn't interested in doing because he said, "I didn't like the movie." 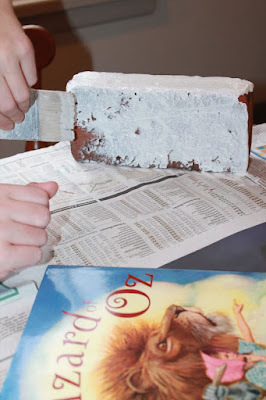 But, after reading the book by L. Frank Baum he was convinced it was something he wanted do. 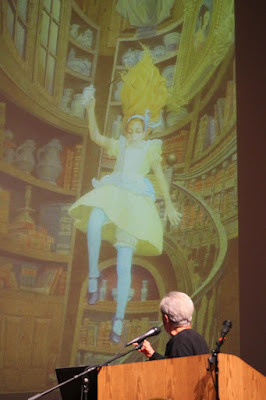 Santore recalled, "On the very first page, it mentions that Dorothy is an orphan. And that sort of opened up the story for me. The whole thing came into focus, the Yellow Brick Road as a metaphor for self-discovery." (San Diego Union Tribune). Shortly after reading Snow White my daughter asked, "Can we read another story?" She chose The Wizard of Oz. When I started I didn't realize the book was over 90 pages long, but when I reached about the seventieth page I asked myself, How is she is still listening? Are we going to finish this book in one sitting? Also, around the seventieth page I had an idea to bring the book to life for my daughter. 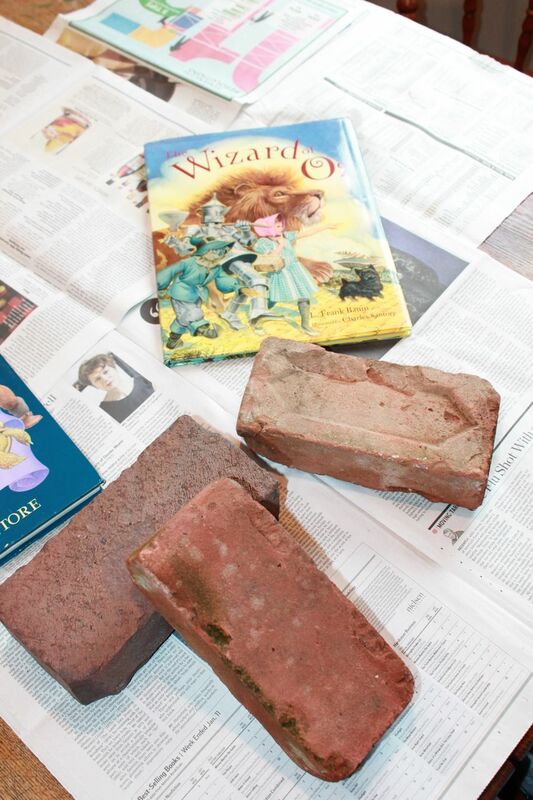 The day after finishing the book in one sitting we set out to discover if we could turn these old bricks from the backyard into bricks from the Yellow Brick Road. 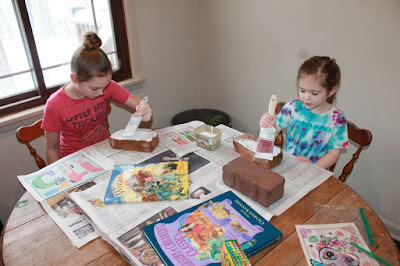 A snow day allowed Big Sister to help with the project. 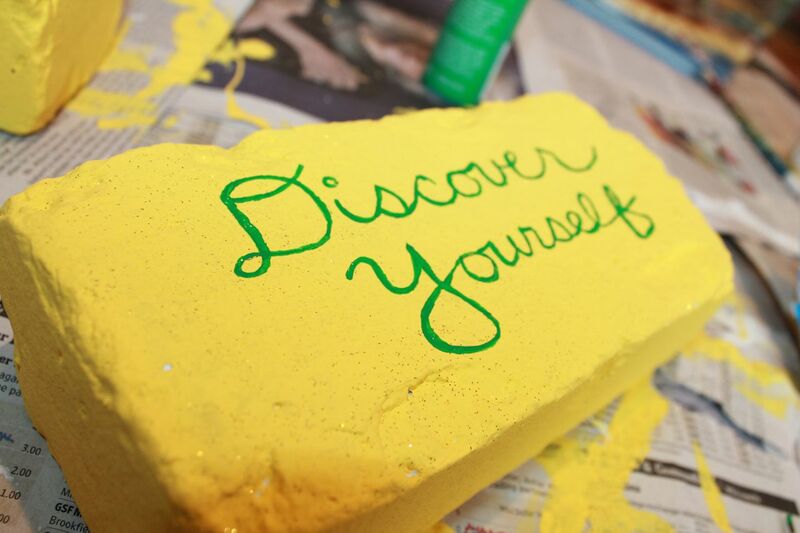 We painted the bricks with multi-purpose primer. We wanted our bricks to be sparkly so we added some fine gold glitter to the bright yellow acrylic paint. 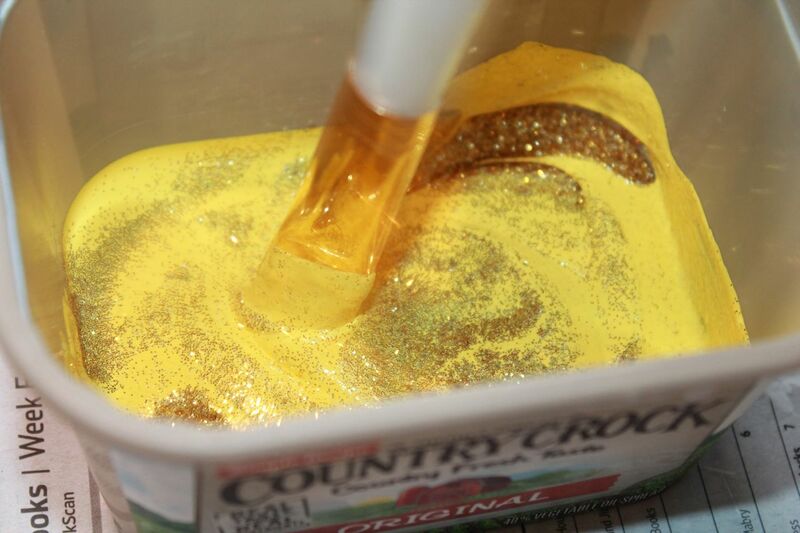 We love the magic of glitter. 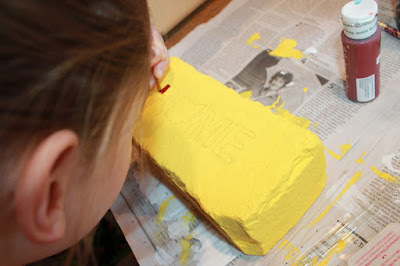 After the primer dried we painted the bricks yellow. 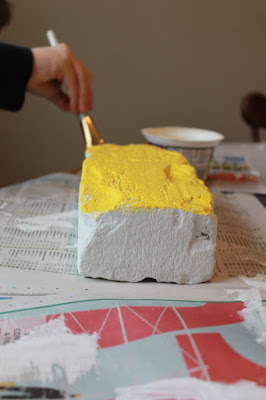 The paint dried over night. My oldest daughter had the opportunity to make the yellow brick extra special after a second snow day! There is no place like home here in Ohio where we get two snow days in the middle of March! 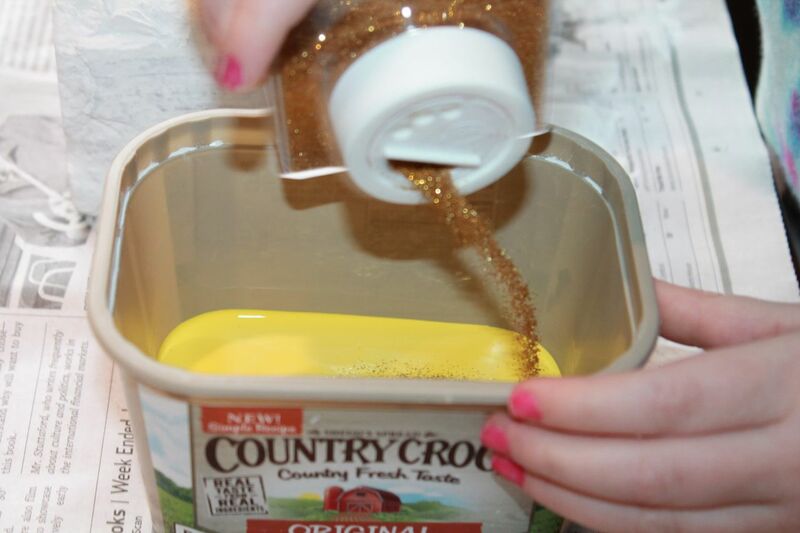 This was my yellow brick. 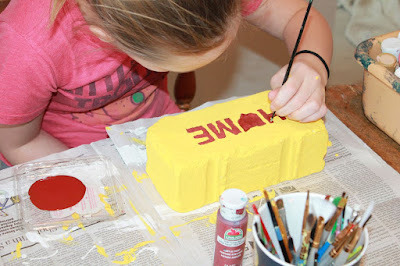 My youngest daughter decorated her brick too! Charles Santore's latest book is Alice's Adventures Underground. He talked at length at the Mazza Museum about his process. He reads the story over and over, doodles while reading, and makes many sketches. If needed, models pose for photographs after the "choreography" of the book is set. Then, there is more sketching and refining and color sketches and finally painting. Most of his artwork is in watercolor. It takes Charles Santore over two years to make a book! 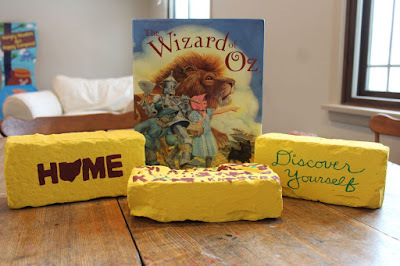 It took him three years to make The Wizard of Oz! 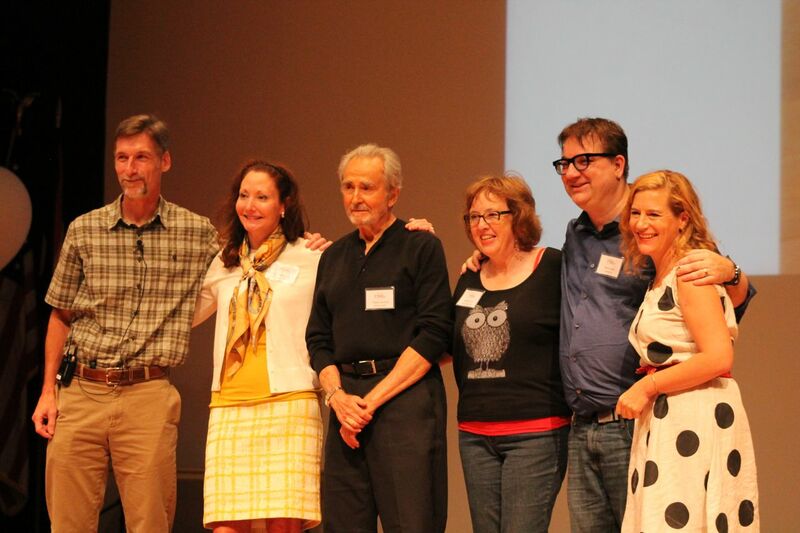 Charles Santore is pictured in the middle of this great group with Mark Teague, Sherri Duskey Rinker, Shutta Crum, Kevin Cordi, and Sophie Blackall! (from left to right). This photo was taken at the Mazza Museum Summer Conference 2015. Charles, it was a pleasure to meet you and to listen to you read Paul Revere's Ride at the Mazza Museum. 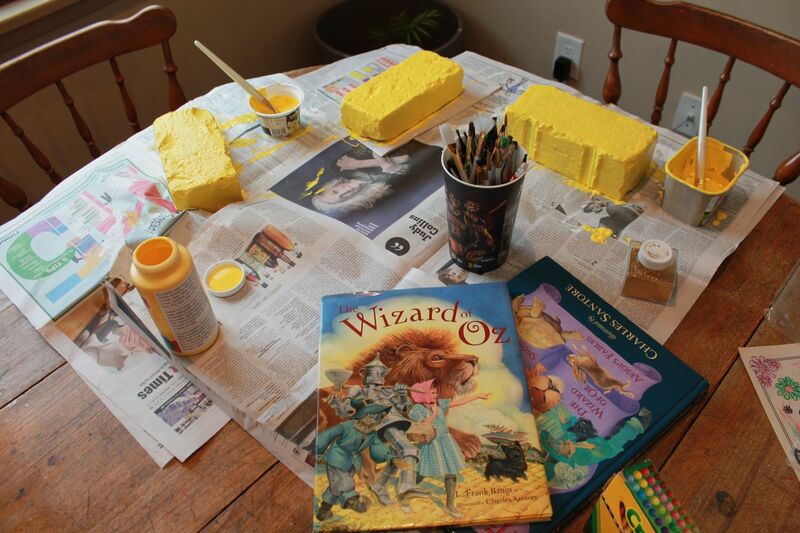 Thank you for creating "classic" picture books for us to enjoy as a family. We hope you have a wonderful birthday!